Can I take out any additional covers or waivers? A reduced excess waiver is available upon request. This can be purchased at the start of your rental. Do I need to check the condition of the vehicle before I leave the hire premises? Yes. A member of Priory Rentals will walk around the vehicle with you and will go through the condition check sheet with you. If an apparent defect is not listed please advise our member of staff who will be happy to correct our records. Do you require a deposit when I collect a vehicle? Here at Priory we take a standard £100.00 security deposit for all van and car hires, however for the hire of our minibus a security deposit of £200.00 will be payable. This can be paid via cash, credit or debit card. What documents do I need to provide when I collect a vehicle? Your full driving licence – After 8th June 2015 the paper counterpart will become obsolete. As we will require confirmation of your endorsements or lack of we will need to access your online DVLA record. This can be done with the use of your National Insurance number via this link: https://www.gov.uk/view-driving-licence Once you have logged in, please select the “Share your licence information” option and select “Create a code”. This code is valid for 21 days and must be brought with you on the day of collection or alternatively you can email this through to us beforehand. Two proofs of address – These can be utility bills, bank statements or credit card bills, however they do need to be dated within the last 3 months. What documents do I need to provide if I am not from the UK? Your full driving licence issued by your country of residence. Your international driving licence if you’re driving licence is written in a different language to the one of the renting country. Proof of address for where you are residing whilst visiting the UK – If staying at a hotel or similar a copy of your booking confirmation is acceptable. If staying with relatives or friends, two utility bills showing their name and address is acceptable. If in doubt please contact our representatives before attending the office. 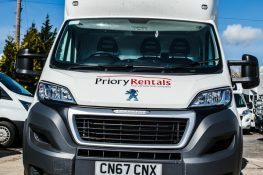 Is there a minimum / maximum age for renting a vehicle with Priory Rentals? All hirers must be 25 or over with at least two years driving experience. There is no maximum age limit. 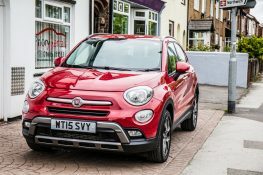 Can I book and pay for a hire vehicle even if I won’t be the person who drives it? Yes you can as long as you confirm the full name of the person who will be driving the vehicle. This person would also need to meet our age limit and identification requirements as above. If I have forgotten my driving licence can I still hire the vehicle? If you have previously hired from us and we hold a copy of your licence yes you can still hire from us as we will contact the DVLA directly to confirm its validity. If you still hold an “old style” licence we would not be able to do this and hire would not be able to proceed. If you have never hired from us and have lost your plastic card licence after the counterpart abolishment we would unfortunately not be able to hire to you. This is the formal contract, signed by a Priory Rentals representative and yourself at the time of hire. This contract shows the terms of the rental and the rates applied. Can the Priory Rentals representative explain the vehicles controls to me? Upon collection of the hire vehicle a representative will walk you through the vehicle controls. If you require any specific clarification please advise the representative who will be happy to assist. What do I do in the event of a breakdown or if I have an accident? Firstly never admit liability at the scene of the accident, although the description of the incident can be agreed between the parties involved. Upon collection of our vehicle you will be advised of the relevant number to call in the event of a breakdown or accident. You must always remember to complete the accident report form in the event of any accident regardless of how small. Please ensure that relevant details are collected from any other parties involved including names, addresses, contact numbers and registrations where applicable. Please contact Priory Rentals as soon as it is safe to do so with full details of the accident, we will then arrange collection of our vehicle if necessary and will confirm any further actions which may be required. Please note in the event of any fault or none fault accident the none refundable excess will become immediately payable. Yes however all foreign travel must be agreed with a Priory Rentals Representative before collection of our vehicle. Additional charges for green cards and breakdown cover will apply and will be discussed with you at the time of your booking and hire of our vehicle. What can I do if I have a problem with my vehicle? Upon collection of our vehicle you will be provided with a 24 hour contact number. Please call this number and a Priory Rentals Representative will be happy to assist you. What do I need to do in the event of lost keys? In the event of our keys being lost or misplaced please contact Priory Rentals where our representative will obtain a new set. The cost of which will be the responsibility of the hirer. What do I need to do in the event of the vehicle being stolen? Contact the Police immediately to report the theft then contact a Priory Rentals Representative on the number provided. Financial responsibility will depend on the level of security the hirer provided for the vehicle during the hire term. Do I need to carry out any vehicle maintenance during my hire? All of our vehicles have been fully checked and maintained prior to your collection however dependant on the mileage you are doing in the vehicle you will be required to perform customary inspections (oil lever, tyre pressure etc) in accordance with reasonable and prudent use. You should stay alert to any warning signs that may come on and contact a Priory Rentals Representative if you are ever unsure or worried. Is there a mileage limit on the term of my hire? All hires are subject to 250 miles per day allowance for the first three days hire. Any hire exceeding three days is unlimited. Excess mileage is charged at £0.12 per mile over the 250 limit. Please note this figure is open to change at the discretion of management. Will I be expected to pay any additional costs upon my return? Certain modifications to your agreement may have resulted in additional costs, for instance; refuelling costs may apply if you do not return the vehicle with the same level of fuel as it left us with. In the event of damage or theft the excess or additional costs may become applicable. Any additional charges will be fully discussed with the hirer upon the return. If you are ever worried about any charges or wish for them to be fully explained please do not hesitate to contact a Priory Rentals Representative. Do I need to check the vehicles condition upon my return? Yes, and if you have found a new apparent defect which wasn’t listed on the vehicles check sheet you need to inform a Priory Rentals Representative. Even if no accident occurred during your hire the vehicle may still have been damaged during the rental and this has to be notified. If you return a vehicle when our offices are closed, the vehicle will still be classed as your responsibility until the vehicle is checked in by a Priory Rentals Representative. Can I extend the hire duration? Yes of course, just call or pop into our office where we will confirm the additional costs involved in extending. Please note all extensions require immediate payment. Fines: Parking Tickets & Traffic Violations? As the hirer you are responsible for all and any tickets, fines, points etc which might be levied whilst the vehicle is in your possession. This also includes congestion charges or any other traffic violations. If Priory Rentals receive notification of such an offence your details will be sent to the relevant authority and we will also invoice the hirer an administration charge of £25.00 to cover the time taken to deal with the issue. Do I need to return the vehicle with a full tank? You only need to return the vehicle with a full tank if that’s the level it was at when you collected it. If not just return the vehicle with the same amount that it was upon collection. Please note charges will be applied if the vehicle is returned with less than it was originally collected with. Priory Rentals will not refund for any excess fuel which has been put into the vehicle and not used. It is the hirers’ responsibility to ensure the returning level of fuel is correct. What if I have left an item in the vehicle? Please contact a Priory Rentals Representative who will be happy to check our lost and found for your item. Please note however that Priory Rentals accept no liability for any items which may have been lost or misplaced during your hire term. What methods of payment do Priory Rentals accept? We accept all major credit and debit cards, along with cash and bank transfer. Unfortunately we are no longer able to accept cheques or American Express by way of payment. Can I return the vehicle outside of normal opening hours? Yes, you may want to return the vehicle when Priory Rentals is usually closed. Please speak to a Priory Rentals Representative who will confirm exactly where to leave your vehicle and where to leave the keys. If you are unsure please contact our offices direct. Unfortunately this service is not yet available at our Lancashire branch. Vehicles returned outside of normal opening hours are left at the hirers own risk, and will be subject to the same terms and conditions in respect of damage and/or parking charges until a Priory Rentals representative has taken full possession and checked the vehicle in. In all cases, Priory Rentals rates are classed as daily rates where a day is considered as 24 hours. If you return a vehicle late, your rate will be recalculated adding an extra day for the number of days over the original return date. IMPORTANT: remember that the insurance only covers you for the time stated on your rental agreement. If you decide to return the vehicle later than original requested please call or pop into the hire office so your agreement can be amended.